Lucky for us that Kit Watkins eventually becomes tired of each genre he conquers; because it is at this point he reaches for yet another sonic horizon, hoping to realize the promise of what comes when profound musicianship encounters new unexplored terrain (or even revisits an area with many footprints and monuments). It is this non-complacent quality which continues to bring us a diversity of works from this remarkable artist. Tone Ghost Ether is the latest project involving Kit Watkins and evolved out of jam sessions with John Tlusty and Brad Allen dating back to early 2001. The basic idea behind Tone Ghost Ether is free-form musical expression. The nature of these experiments certainly involves many factors but mainly relies on the interconnectedness between those participating and their respective musical abilities - the shared vision guiding the individual virtuosity. This process can reveal unconscious patterns and hidden talents and when working well, this "meeting" results in music that is greater than the sum of its parts. 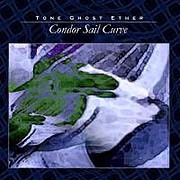 Tone Ghost Ether accomplishes this quite nicely on their three debut releases: Condor Sail Curve, Hydrogen 2 Oxygen and The White Space. 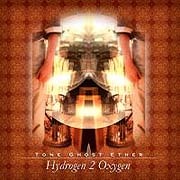 Tone Ghost Ether regards each recording session as an opportunity to explore the many facets of their musicianship. At the outset, no one is quite sure where the music will be leading them. The sets were recorded exactly as it happened, the magic captured and arranged to fit on the three debut CDs. Each disc is a collection of edits exemplifying where the music "came together", where the piece became defined. The disc, Condor Sail Curve offers the more gentle and comforting side of this trio with pieces that float on a current of warm textures and carefree melodies. 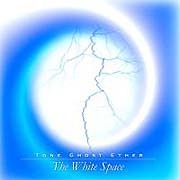 On The White Space, Tone Ghost Ether raises the energy level several degrees with a collection of more rhythmic, focused pieces that hint at influences from world music and contemporary instrumental. 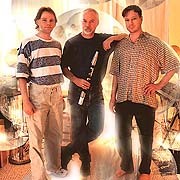 Hydrogen 2 Oxygen rises above pulse driven music as the group successfully adds percussion loops and drum patterns beneath blazing guitar and EWI leads lines, all from the perspective of the Ambient esthetic. It is predicted that Tone Ghost Ether will be delving into this process for quite some time to come. With the ability to "make it new every night", along with the therapeutic effects of being consumed by each session (a requirement of its performers) - by being completely "in the moment", Tone Ghost Ether will no doubt find a great sense of both personal and artistic satisfaction with this work and continue on exploring the many permutations, brief emotions and sustaining moods that this style of music has to offer.